CrossFit.com will post workouts such as this one: https://www.crossfit.com/190216 where they write 5-5-3-3-3-1-1-1-1. How would I make this work inside of what we are doing at Oregon CrossFit? Let me answer this question for all of you. We will use the deadlift the same as CrossFit.com did. At Oregon CrossFit the workout would be written as “work up to a 1 REP max deadlift”. The suggestion would be to follow Prileprin’s chart. Using the chart as a guide we would complete 5 reps at just under 50% of our 1 rep max. Let's say I deadlift 200 - just under 50% of this would be 95# and I would knock those deadlifts out. So I have one set of 5 completed. (Remaining sets 5-3-3-3-1-1-1-1). Now we’re onto the 3’s in the sequence - what I suggest doing is taking a deadlift at 60% for 3 reps which would be 120#. (remaining sets -3-3-1-1-1-1). Next set of 3 would at 70% which would be 140#. (remaining sets-3-1-1-1-1). The final set of 3 reps would be completed at 80% which would be 160#. (remaining sets-1-1-1-1). For the final 4 deadlifts we would want to be those to be at 85%, 90% and 95% and then save the last one for a PR(personal record attempt) or 101%. Those weights would be as follows: 170#, 180#, 190#, and finally lets get a 5# PR and hit 205. (no more remaining sets). Why would I want to tackle max effort day like this? 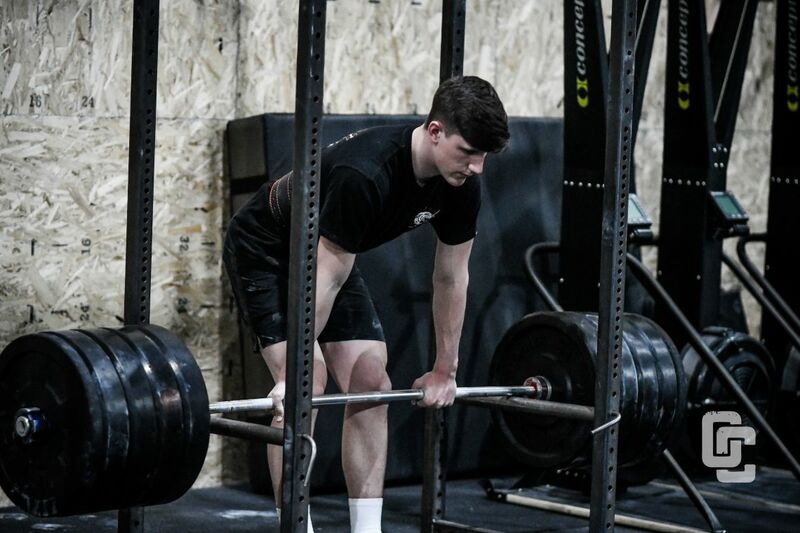 A lot of research has been coming out recently pointing to the benefits of doing more reps before a max effort to gain strength and hypertrophy. Another reason is you want more volume or reps so that you can practice technique or drill technique while your moving up in weight(especially important for those who have less training time at Oregon CrossFit). Another way to go after max effort work seen here on CrossFit.com(https://www.crossfit.com/190131 or https://www.crossfit.com/190125) is to complete singles. 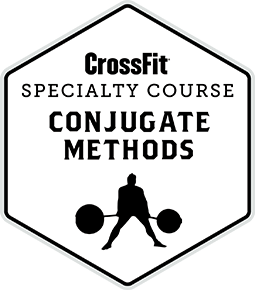 The first CrossFit workout has 5x1 and the other example has 7x1. Both of which can fit into our max effort days at Oregon CrossFit. How we can approach only doing singles in a Friday max effort Bench press strength portion of class. 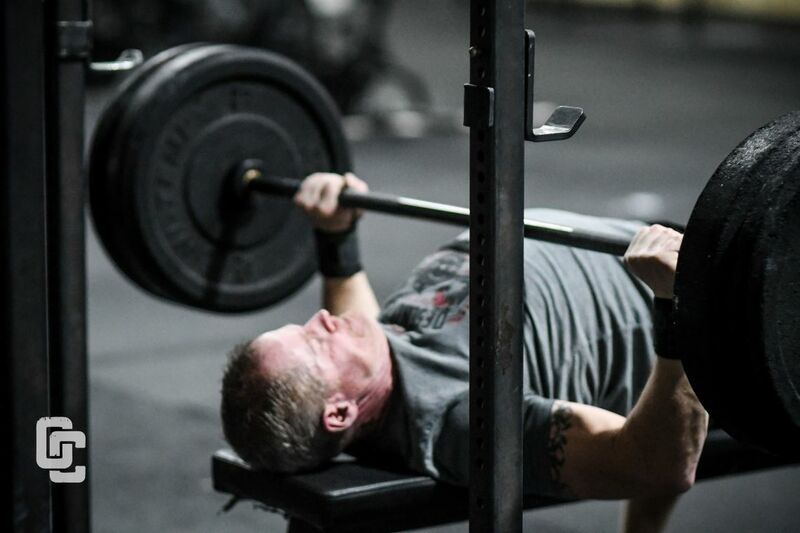 Let’s say that our 1 rep max bench press is 100 pounds (for this example) and we want to do 7 heavy singles. 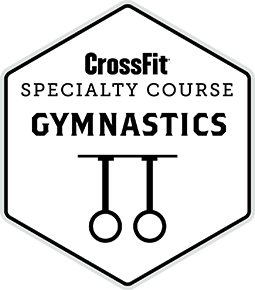 Our first set(not counting towards our seven heavy singles) is going to be the bar and we might complete 2 sets of 5 reps warming up and completing some technique work. After that set we would put 50%-60% of our 1 rep max on the bench. From here we might want to make a smaller jump and hit a rep at 85% or 85#. (remaining sets1-1-1). Now we have 3 attempts remaining and we are trying to get a new PR(personal record bench) so we will complete the following reps.
One single at 90%(90#), another rep at 95%(95#) and then depending on how that last repetition went we could jump up to 101% and get a small PR(if the 90 and 95% were super difficult) or if the 90 or 95% were really easy maybe we want to get 105% or 105#. Both of these structures gives us the opportunity to Bench Press more than we ever have, it allows us to handle weights that we have never moved before in the lift and it gives us a great stimulus. Please note, as you gain strength relative to your size/body weight it might be a better plan to not hit 90%,95% and 101% or 105%, as your strength goes up your jumps between weights might need to change. Sometimes we see people hit 87% and then 95% and then 102% or something similar. The idea is that your understanding your body and the stimulus of max effort. Q: What if I don’t feel “great” on Monday and we are supposed to max out our straight bar back squat, what should I do? A: OC Coaches always suggest that you just change something - change the bar and work up to a heavy single, complete the max effort without weightlifting shoes or with them(depending on what you usually do), work up to max effort with a belt or without one. All of these changes gives you another option to perform the workout as “written” but without having to worry about the “negative” of not PR’ing. Set yourself up for success. A: Simple answer is NO. Max effort is based on what your body is currently capable of so it isn’t a competition with another member or a competition at all, it is you doing max effort work for your current level of preparedness. Q: When I max out on (deadlift, bench, box squat, etc, etc) will my form be 100% perfect and/or should it be? A: In reality we want you to have the best form possible, in practice there is some breakdown of your form which is going to cause you to have some kind of struggle or strain successfully completing the lift. What the coaches job and your job as an athlete is to analyze when it is time to stop and then why we weren’t able to finish the lift. Typically, there is a portion of your body that is “lagging” behind and that portion causes you to miss the lift. For example in a bench press - if you lift the weight but struggle and barely lock it out - or don’t get the lock out - then your triceps could need some work. We would then target your triceps for more work to help you lock out those weights.